Over the years, there have been several radio news stories and bike safety PSAs about cycling in Sitka. Click this link to listen to them on our SoundCloud page. Most of these radio clips are courtesy of KCAW-Raven Radio or KIFW-AM. Some clips can not be posted to the SoundCloud page, so their links are below. • Aug. 30, 2010, KCAW-Raven Radio news story honoring the recent death of 83-year-old Alice Machesney, who until her death still rowed a boat into town from one of Sitka’s barrier islands, rode her bike around town, hosted a weekly polka show on KCAW, and played accordion for residents at the Sitka Pioneer Home. In her honor, Sitka hosted the Alice Machesney triathlon, which featured rowing, cycling and playing the accordion. • Nov. 10, 2011, KCAW-Raven Radio Morning Edition Show featuring KCAW news director Robert Woolsey interviewing Doug Osborne and Adam Andis about an upcoming all-weather cycling workshop. • Jan. 29, 2012, KCAW-Raven Radio Morning Edition Show featuring KCAW news director Robert Woolsey interviewing Doug Osborne about the inaugural Sitka Winter Cycling Celebration on Saturday, Jan. 28. • May 18, 2012, KCAW-Raven Radio news story about Sitka renewing its Bronze level designation in the Bicycle Friendly Community program (Sitka was Alaska’s first BFC in 2008). • June 12, 2012, KCAW-Raven Radio news story about former Sitkan Quinn Langbauer’s bid to have his Siberian bike tour funded by Outside Magazine after a crowd-sourcing vote on Facebook. • May 2, 2013, KCAW-Raven Radio Morning Edition Show interview with Doug Osborne about National Bike Month activities in May. • May 6, 2013, KCAW-Raven Radio news story about National Bike Month events in May. • Oct. 13, 2013, KCAW-Raven Radio news story about the upgrade of Sawmill Creek Road to include better biking and pedestrian facilities. • Nov. 6, 2013, KCAW-Raven Radio news story about Sitka becoming Alaska’s first city or town to earn a Walk Friendly Communities designation (Bronze level), with mentions of Sitka also being the first Bicycle Friendly Community winner. • Jan. 27, 2014, KCAW-Raven Radio Morning Edition Show interview with Marjorie Hennessey and Andrew Thoms about the Jan. 28 dedication of a new covered bike shelter made with local young-growth lumber. • Jan. 29, 2014, KCAW-Raven Radio news story about the dedication ceremony for a new covered bike shelter made with local second-growth lumber. • May 9, 2014, KCAW-Raven Radio Morning Edition Show interview with Jeff Arndt about National Bike To Work Week on May 10-14. • July 9, 2014, KCAW-Raven Radio news story about Chris Bryner and his Bunna Bike coffee business carried in a bike trailer. • Aug. 27, 2014, KCAW-Raven Radio news story about the Sitka Assembly seeking public opinion about a new car tax to help maintain roads. • Jan. 25, 2015, KCAW-Raven Radio news story about a young cyclist who had to medevacked to Seattle after colliding with a pick-up truck (the cyclist survived his injuries and later returned to Sitka). • May 8, 2015, KCAW-Raven Radio Morning Edition Show interview with Tess Giant and Doug Osborne discussing National Bike To Work Week on May 11-15, and other National Bike Month events. • May 22, 2015, KCAW-Raven Radio Morning Edition Show interview featuring Sophie Nethercut, Sarah Komisar and Aaron Prussian talking about the upcoming Sitka Community Bike Ride and Potluck on May 23. • June 26, 2015, KCAW-Raven Radio news story about Harbor Mountain reopening to traffic, including bicycle and pedestrian traffic, after the road was closed due to a landslide. • Sept. 16, 2015, KCAW-Raven Radio Morning Show interview with Doug Osborne and Kealoha Harmon discussing the upcoming Kidical Mass family friendly bike ride set for Sept. 19. • March 28, 2016, KCAW-Raven Radio public commentary from Doug Osborne about the need to end distracted driving in Sitka and to pass a city ordinance that bans the use of cellphones while driving. • May 12, 2016, KCAW-Raven Radio Morning Edition Show featuring an interview with Doug Osborne and Aaron Prussian about safety being the focus of National Bike Month in Sitka. 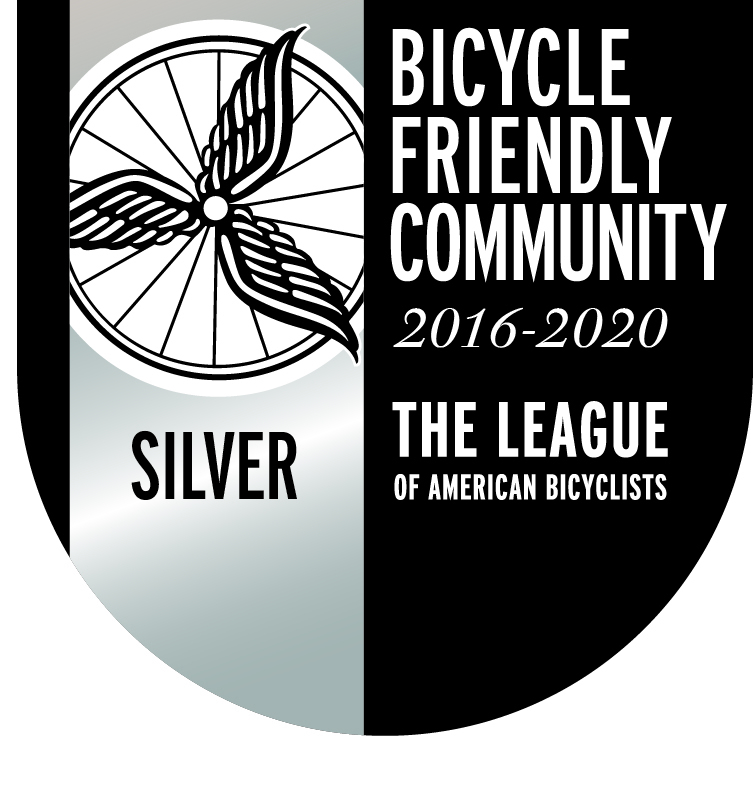 • May 23, 2016, KCAW-Raven Radio news story about Sitka upgrading to a Silver level Bicycle Friendly Community designation from Bronze level in 2012 and 2008.